The only re-treatment product endorsed by Glen Raven, Inc. for its Sunbrella® fabric. Powerful enough to protect fabrics in the harshest environments, Fabric Guard is just as safe for the finest fabrics. 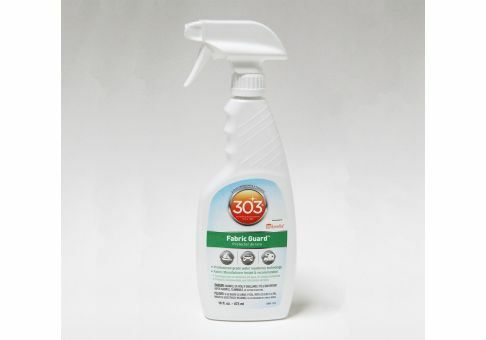 Fabric Guard restores lost water and stain repellency to factory levels. It also stops leaks, impedes mildew formation, and helps protect against harmful UV rays.